Up until 2010 the school operated out of a rented building which was extremely hot and desperately short of space, books, pens/pencils, teachers, uniforms, funiture…in fact you name it, they needed it! It was barely a school. Despite this, due to the care and volunteer services of some, they had a graduation day! What a proud achievement! Since that time c4c have raised £4,500 to upgrade the school building, a mere wooden hut with a corrigated iron roof, by making it bigger and raising the roof for better ventilation. 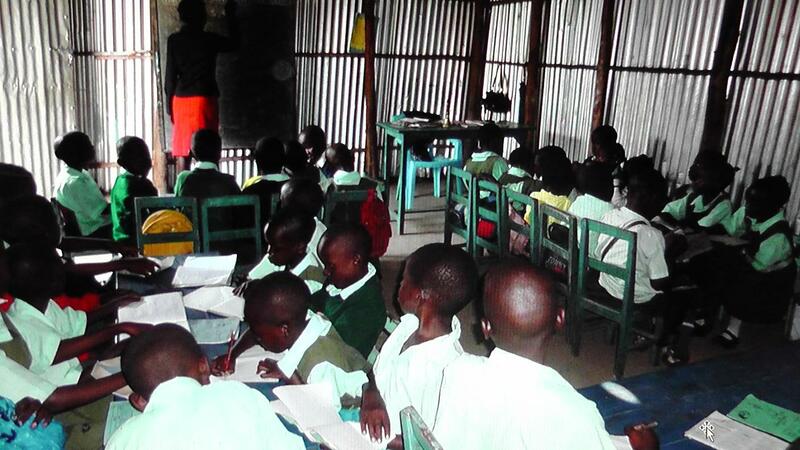 We also installed two new classrooms and a kitchen to provide meals on premises. Originally we were working with figures of about 125 children which seemd many, but we now have 225 children registered properly through a better administration system run by Alice Samo. We also have established classes with children housed from as young as 2 years in Baby Class (Nursery) to ages 13-standard practice for Primary. Previously there were no chairs, tables, text books, pens, pencils or other basic resources. 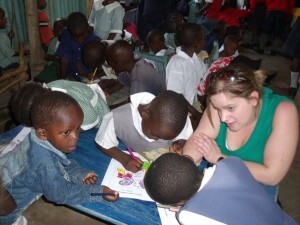 Now, as this picture shows we have classrooms, teachers a chair for each pupil and desks! We also have a feeding programme as a kitchen has been built. Much of this was possible as the chief of the area became involved following his invitation to see the children graduate. He organised the moving of some of the residents nearby to make room for these improvements. As a benefit to the whole slum area we were asked to provide a toilet block (for the whole community!) We built a toilet block of four toilets, two for the school and two for the region. We are extremely pleased that the Life Centre School now has smart pupils in uniform that are happy and reunited with families. 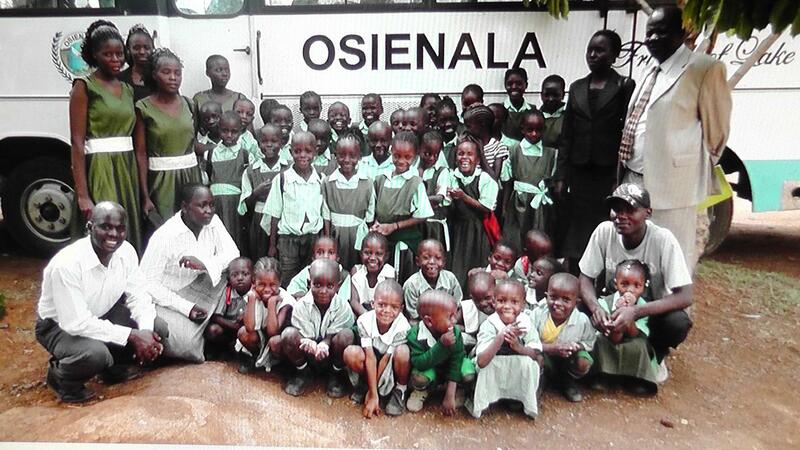 We are called citizens for change and can see a massive change in the region of Nyawita, Kisumu in Kenya. Thank you to everyone who has helped us accomplish this.